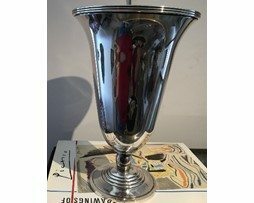 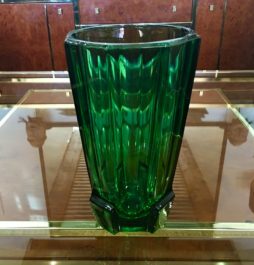 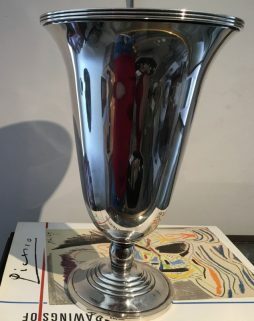 Antique Vases | Interior Boutiques – Antiques for sale and mid century modern furniture, french furniture, antique lighting, retro furniture and danish furniture. 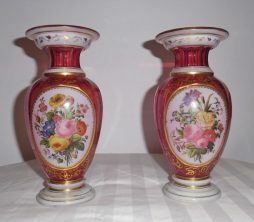 Antique French Vases, Two small & two large vases. 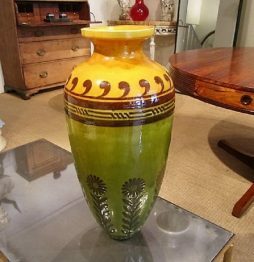 A large English early 20th Century pottery arts and crafts amphora shaped vase with high glaze finish in greens and mustard with stylised sun flower decoration. 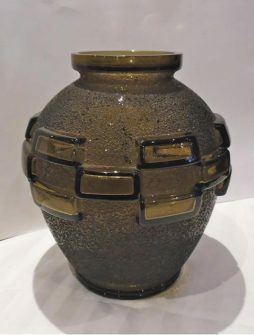 The acid etched ovoid glass body decorated with an art deco geometrical block pattern, signed to the base 'DAUM NANCY FRANCE' with the Croix de Lorraine. 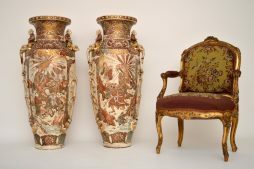 Each of baluster form, the ribbed ruby crystal body centered to the front with a floral cartouche and gilt motifs, on a circular spreading base. 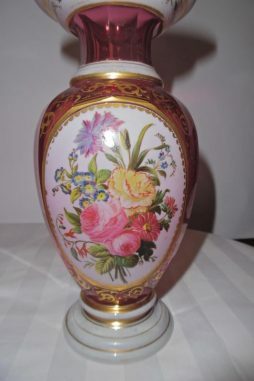 This very attractive pair of vases is from the Meissen factory and was made C.1910. 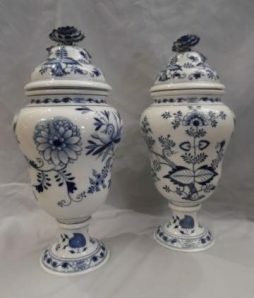 Blue and white, decorated with the iconic “Onion” pattern, they are of baluster form with lids. 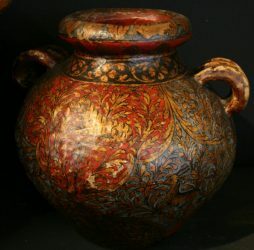 The lids are decorated with exquisitely modelled flowers of carnation form, rendered in full three dimension with stem and leaf. 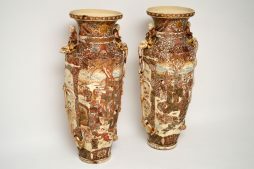 Pair of Antique Painted Indian Vases, lacquered with Tigers and dating back to 18th/19th Century £880 for the Pair. 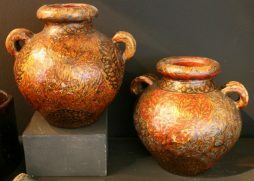 Very large pair of antique Japanese Satsuma vases,which I believe date from around the 1910 period. 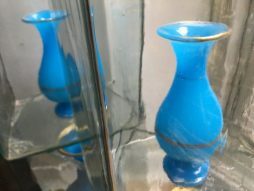 They may even be a bit older. 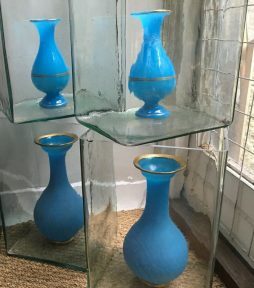 I’ve never had a pair of vases anywhere near this large. 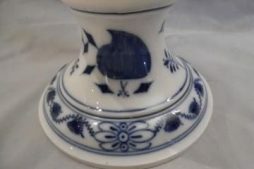 There is a bit of damage to some of the outer mouldings & I have tried to show all this in the images, so please enlarge all of them.